Cambodians have a well-earned reputation for radiating optimism and an unpretentious, friendly welcome. Expect proud smiles to accompany your discovery of their rich heritage, splendid natural scenery and delicious cuisine. 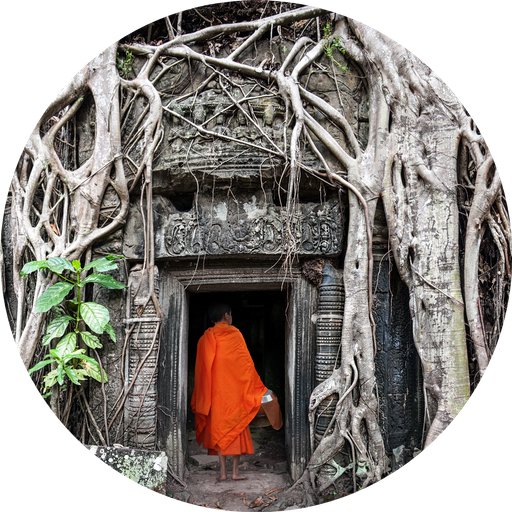 It may be a small country but Cambodia has lots to do, and its historical relics, in particular, exert an irresistible grip on intrepid travellers worldwide. 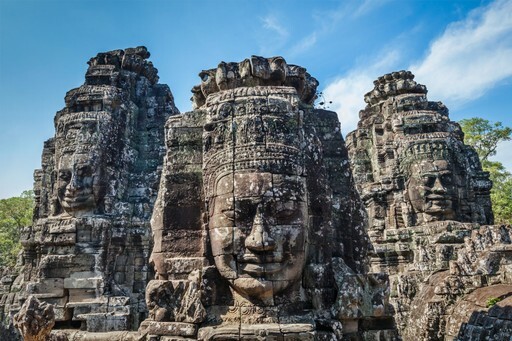 This is a destination with a beguiling mix of flooded rice paddies and stilted villages, soft tropical beaches and rustic island escapes… but it is the temples of Angkor that steal the show. From ruins snared among tree branches, to ancient faces carved from rock - they are nothing less than awesome and certainly merit the hype. There are many wonderful experiences to be had in this intriguing country. For further inspiration take a look at the trip ideas put together by our trusted local experts at the foot of this page, but in the meantime here are our top three things to do in Cambodia. The temples of Angkor are a window on to Cambodia's past, showcasing the workmanship of the masons who built them stone by painstaking stone. The Khmer temples are spread across a huge area, but the best known are located near Siem Reap. Each has a unique appeal, but there are a handful that stand out. Angkor Wat is the most celebrated and indeed it is an intricate showstopper of a building, but the jungle-clad Ta Prohm and the mystical faces of the Bayon should not be missed. As well as its coastline, Cambodia has a set of islands in the Gulf of Thailand. These tropical idylls make a superb destination for adventurous travellers looking for some seclusion. The waters here are calm and warm, empty beaches fringe the shore and the scenery is incredible. 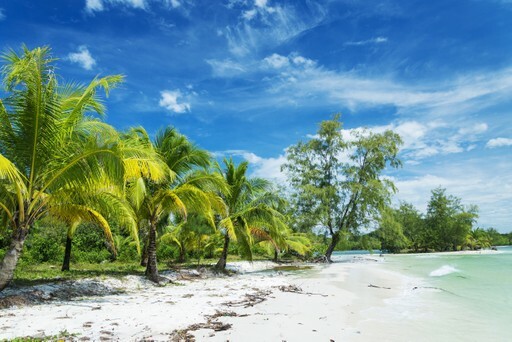 Koh Rong Island is best known for paradise beaches and a thrilling phosphorescence in the shoreline waves, Koh Ta Kiev is good for jungle treks, and Koh Thmei is perfect for birdwatching. 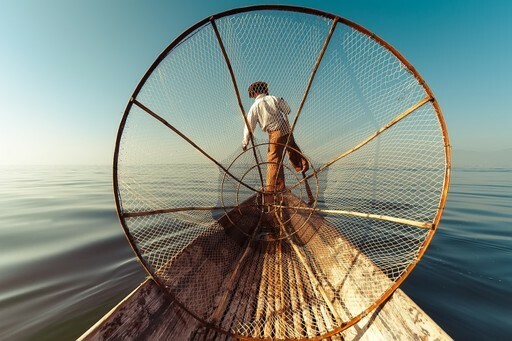 Tonlé Sap is Southeast Asia’s largest freshwater lake, but it fluctuates in size quite dramatically between wet and dry seasons due to a unique phenomenon. During the rainy months, the direction of the river which drains the lake is reversed, filling the lake and increasing its surface area from around 2,500 to 10,000 square kilometres. Among several floating fishing villages Kompong Phluk is one of the most interesting, with shops, schools and houses all floating on the water. When should I visit Cambodia? If you’re looking to dodge the rain, November to February is a prime time to visit: despite being the ‘cool’ season, it is still sunbathing weather. If visiting in hot season (from March to May) temperatures can be a toasty 33-35 degrees, so consider heading to the coast to cool off. The heavens open from June to October for the rainy season, which can prove problematic for travelling around the country’s rural roads, but if you don’t mind the daily downpours the monsoon season means there are far fewer tourists and you get to see the jungle blossom into life. Create your bespoke holiday to Cambodia!